Hobbies/Interests: : Once the season starts, there’s not a whole lot of time for anything beyond practicing, performing, teaching, and rehearsing! I love rock climbing, gastronomy (aka FOOD!! ), flamenco, watching anime and gymnastics, and anything that involves spending time with family and friends. Music is proof that God loves us. Music, and cupcakes. 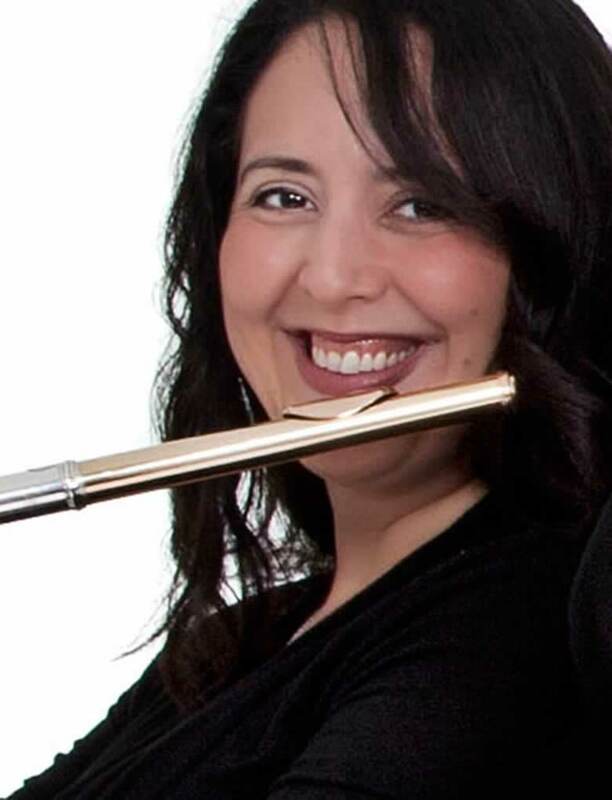 Sandra del Cid-Davies has been a member of the Orlando Philharmonic Orchestra since 2008 and is on the faculties of both Rollins College and Southeastern University as adjunct Professor of Flute. Sandra also performs with the Florida Orchestra, Brevard Symphony Orchestra, and the Bach Festival Orchestra. She is the principal flutist of the Space Coast Symphony Orchestra with whom she performed Christopher Rouse’s Flute Concerto in March 2013. Sandra began her flute studies in her hometown of Northern Virginia with Rita Brockway and Alice Weinreb. Later, she went on to study at Peabody Conservatory and Northwestern University where she received her Bachelor’s and Master’s degrees in flute performance. Her principal teachers are Walfrid Kujala, Elizabeth Rowe, Mark Sparks, Laurie Sokoloff, Emily Skala, and Richard Graef. While in school, Sandra had the opportunity to perform with the Milwaukee Symphony, Richmond Symphony, and the Orlando Philharmonic Orchestras as a substitute flutist/piccoloist. Sandra has been featured as a soloist with the Orlando Philharmonic, Washington Bach Consort, Space Coast Symphony Orchestra, Landon Symphonette, and the Grand Junction Symphony Orchestra. This season, she is honored to perform Vivaldi’s Piccolo Concerto in C, RV 443 as part of the orchestra’s 2013-2014 Focus Concert Series.